Keeping this in mind we have added a new feature to RSSeo! 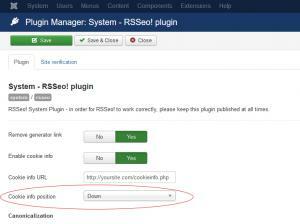 : the possibility of displaying a Cookie message when the site is accessed. 2. Click on the RSSeo! 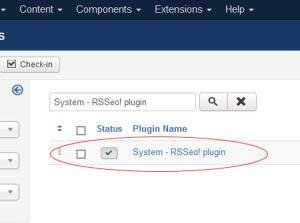 System Plugin and set to "Yes" the "Enable cookie info" option. 3. 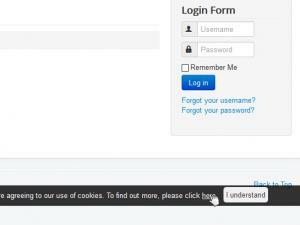 Add the URL of the Cookie information article in the "Cookie info URL" field.